If you’re a subscriber of Three Ladies of Lit, wait, you ARE a subscriber, right? What! Bottom of the page, subscribe right now! I’ll wait. All done? Good. Since you are a subscriber to a literary blog, your vacation packing will almost certainly include packing a book or two. But what if you could leave your books or e-reader at home because your vacation destination was a bookstore? The Open Book is just that, a dream vacation for anyone who has ever fantasized about running a bookstore. 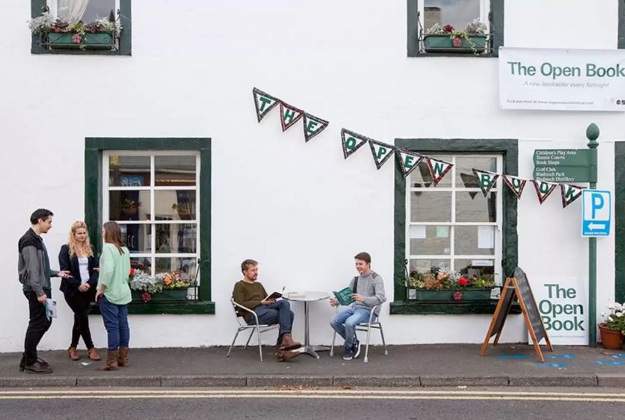 Located in a tiny village in Scotland, The Open Book is a unique Airbnb that allows visitors to experience running their very own independent bookshop. 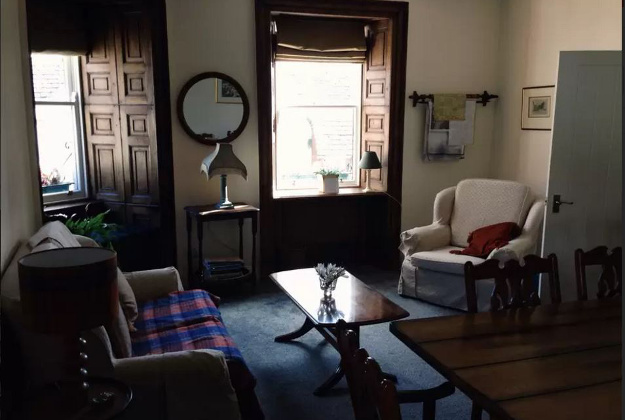 Located in Wigtown, Scotland’s National Book Town, you can have the fun of changing displays, interacting with lovers of books and enjoying the treasures on the shelves while spending your evenings in the apartment above the shop. You can read about it here, it was recently featured on CBS Sunday Morning. Can you imagine? Steaming cups of tea, a neighbor dropping by with a tin of shortbread cookies, a view of the sea as you change the window display. I would hold a Night of Favorites, and invite the community to bring their favorite book to share with the rest of us as we have coffee and cake. By the end of the night you’d have new book loving friends and new books to love. If that’s you, you will have to wait a while for your chance, The Open Book is booked through 2020. Read (and travel) well, friends!